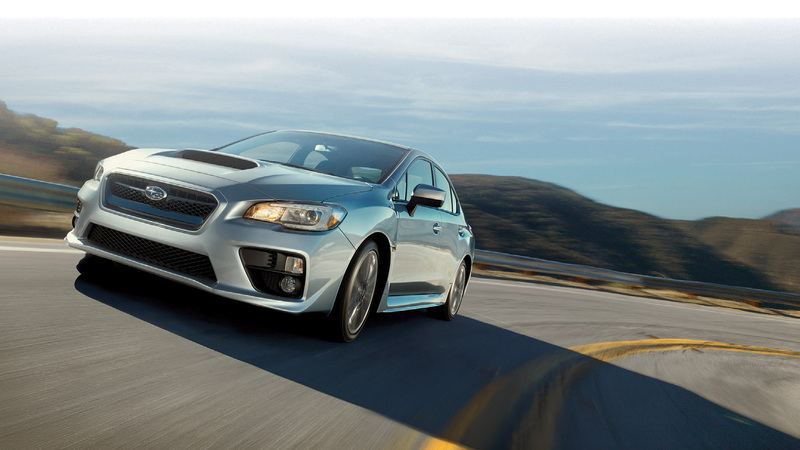 The 2015-‘18 Subaru WRX has really a great balance of power, handling and comfort. The ride is firm, but not brutal. The handling is crisp and neutral. The car is comfortable enough to use as a daily family car, but it delivers when called upon for performance use. The FA20 turbo engine uses a twin-scroll turbo that spools up really fast. Even though it’s only a 2.0-liter powerplant, it spools up faster than the 2.5 turbo from the STI. The WRX gets pretty good gas mileage, too, thanks to that smaller and more efficient engine. The Cobb Accessport is probably our most popular modification. It’s an ECU programming device that comes with preconfigured maps to match common hardware setups. It’s easy to use and customers love it. Swapping out the wheels and tires is really popular. The car comes with either 235/45R17 tires on 17×8-inch wheels or 245/40R18 tires on 18×8.5-inch wheels. There’s plenty of room for more tire, so most of our customers will upgrade to an 18×9.5-inch wheel with a 265/35R18 tire. Our Mach V Wicked Awesome wheels are that courtesy subaru exact size, and they’re the proper offset so they won’t poke out of the fenders. As as bonus, they’re also several pounds lighter than the stock wheels. These cars are more neutral-handling than any previous WRX, and they make perfectly competent autocrossers right out of the box. For the tight courses, though, some of our customers like the back end to be even more lively. Upgrading the rear sway bar using a Mach V-brand 22mm kit is an affordable and popular way to get the rear end to move around more readily. Rally Armor mud flaps are really popular, especially for owners who drive on unpaved roads a lot. Four driven wheels makes for a lot of road debris thrown up along the sides of the car, so the mud flaps protect the paint and help keep the car cleaner. Another common low-buck upgrade is a set of Hella Supertone horns. The stock Subaru horn kind of sounds like a cartoon road-runner–and not a very loud one. The Hella horns turn up the volume and sound more assertive. The cable-actuated WRX transmission on the manual cars doesn’t have great feel. A short-shift adapter like the Kartboy Short Shifter helps to tighten up the feel and shorten the shift throws. These cars are pretty reliable, and so far they don’t really have any obvious weaknesses. The FA20 turbo engine doesn’t seem to have quite as much headroom as the older EJ25 motor in terms of power upgrades, but it does fine with simple bolton modifications. Like any other direct-injected motor, the FA20 is subject to carbon buildup on the intake valves. Eventually this interferes with airflow, causing a drop in power, rough idle, and other unpleasant symptoms. We suggest having that buildup removed using walnut shell media blasting every 30,000 miles or so. For circuit/track use, the stock brakes are merely adequate. One reason the WRX is inexpensive is that it uses budget-bin sliding calipers front and rear. The front rotors are of a decent size at 12.4 inches in diameter, but the feel is pretty squishy and the stock pads fade quickly under hard track use. At a minimum you’ll want to run more heat-tolerant pads and some good performance brake fluid. Better still, upgrade to the STI Brembo brakes. The WRX is available with either a six-speed manual or a CVT. The CVT isn’t terrible, but the manual is generally the preferred choice for the enthusiast. It can handle more power, and if it does break, it’s not too expensive to repair or replace. The CVT does fine at stock torque levels, but anecdotally it doesn’t seem to tolerate power upgrades as well as the manual. And if you do have to replace a CVT, it costs north of $6000. If you’re looking at a used WRX, we suggest starting with an unmodified one if possible. We see plenty of cars with no-brand, low-budget intake systems, mail-order ECU tunes, and other questionable modifications. Often the engines fail prematurely on those cars. The top-spec WRX models have LED low-beam headlamps that I love. They work well and look fantastic. 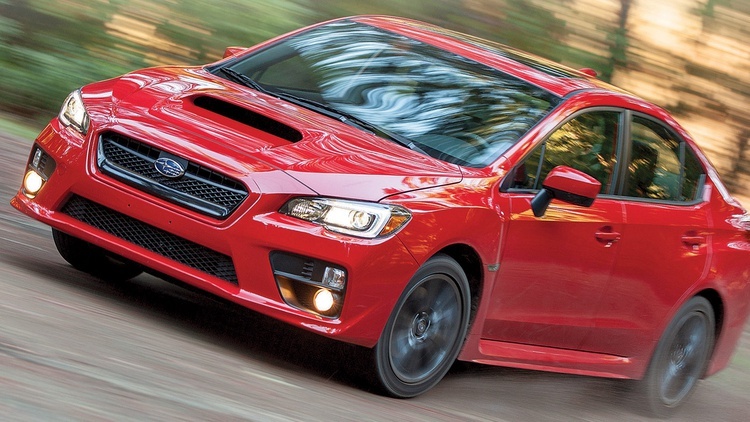 WRX vs. STI: The WRX is a great value, starting at $26,995. The STI costs a lot more, starting at $36,095. But depending on how much you want to upgrade the WRX, starting with an STI might be the better choice. The STI Brembo brakes alone cost many thousands of dollars. The STI’s six-speed manual Driver Controlled Center Differential gearbox is legendary for being nearly bulletproof. The STI engine, although it’s been around forever, is powerful and modifications for it are plentiful and widely available. Either way, the platform is great and you can’t go wrong. Pull the head and media blast the valves every 30.000 miles? This is considered normal now? No. Pull the intake manifold, rotate the crank till the intake valves are closed and media blast those. Vac out the debris, and move on to the next cylinder. Any tiny shell remains have enough give to where then can be ingested and spit out the exhaust without damage. And yes, it's been a common "maintenance" item on many makes for a bit now. If you don't care to keep your engine in top top performance shape, you can likely run a lot longer service interval. Less effective, but without the work of intake removal, is a intake cleaner like seafoam. Does the FA20 not share the D4S setup with the BRZ? One would think that the port injection / direct injection combo would help to keep the intake valves clean? Uhhhh, this is a DI and PI motor. I've never seen anywhere in the Subaru literature that carbon build up on the intake valves is an issue with these cars or for it to be recommended maintenance. This isn't a DI only motor like the BMWs and MINIs that have serious issues with carbon build up. "The FA20 turbo engine doesn’t seem to have quite as much headroom as the older EJ25 motor in terms of power upgrades,..."
"The STI engine, although it’s been around forever, is powerful and modifications for it are plentiful and widely available." Seems like contradictory or confusing statements and the old EJ and new FA are quite different. The FA20 turbo engine is relatively new, but from the tuning/modding experts I know, it is far better than the old EJ's. From what I've seen of the insides of EJ's, *because* of their oiling systems, I would certainly hope so. Subarus, to me, are a lot like rotary powered cars. I love the idea, and the performance, and driving them is a hoot, but man... I can't bring myself to own one. I REALLY wish GRM would respond to this thread. I get you need outside contributors, but when they let blatantly false information into the mag, that makes me want to cancel my subscription. some of the info in this article is very misleading. This guy doesnt know enough about subies to write an accurate on point article...just my two cents worth.